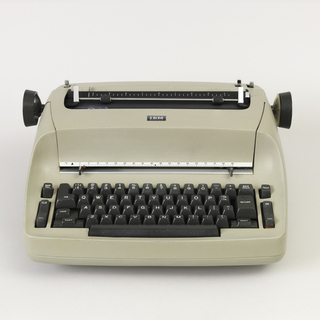 This is a Typewriter with case and cover. It was manufactured by Ing. C. Olivetti & C. S.p.A.. It is dated 1950 and we acquired it in 1987. 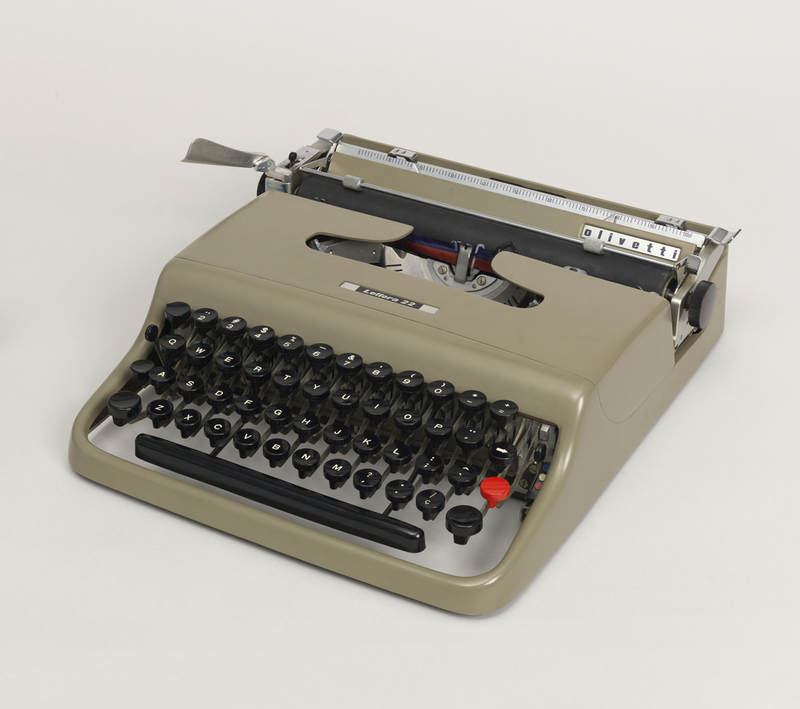 Its medium is metal, plastic, rubber (typewriter); canvas, metal (case); vinyl (dust cover). It is a part of the Product Design and Decorative Arts department. It is credited Gift of Lydia P. Speir.